Individuals look to plastic surgery to fix a physical flaw. Plastic surgery falls under two categories. Reconstructive surgery is medically necessary to restore function and/or appearance after an injury. Cosmetic surgery is an elective surgery that a patient chooses with the intention of improving his or her appearance. Botox injections are the most popular cosmetic treatment in the United States, and over 5.7 million people elected to have this procedure in 2011. Other popular procedures include breast augmentation, laser hair removal, liposuction, and face lifts. Regardless of whether the plastic surgery is reconstructive or cosmetic, the patient expects a dramatic improvement from the original problem. However, like all types of surgery, certain risks are present and sometimes the unexpected happens. In extreme situations, cosmetic surgery causes the deaths of roughly 200 people per year in the United States. Furthermore, though the risk may be small, approximately 1 in 5,000 patients die during routine liposuction procedures. If you or a loved one has experienced an unforeseen negative result after plastic surgery, you may be entitled to compensation. The Boston medical malpractice lawyers at Bellotti Law Group, P.C. 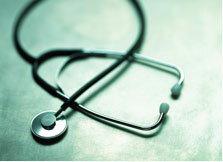 have successfully handled hundreds of medical malpractice cases over many years. Please contact our Boston, Cambridge, or Quincy office today at 617-225-2100 for a FREE evaluation of your case. A presumption exists that most forms of plastic surgery are minor procedures and have few negative side effects. In reality, there is always a risk of a complication that can lead to disastrous injuries much more severe than the initial ailment. The responsibility falls on the doctor to ensure that the patient is aware of all risks prior to performing any plastic surgery. Common risks of any type of surgery include infection, pneumonia, excessive bleeding, adverse reactions to medication, paralysis, and even death. Just like any other type of surgery, we expect plastic surgeons and nurses to be properly trained and follow the appropriate standards of medical care. Recently, a unique problem in the practice of plastic surgery has developed. Although most plastic surgeons are properly qualified and dependable doctors, the commercialization of the field has resulted in numerous plastic surgeons performing operations without the appropriate credentials. During surgery, a doctor may occasionally be called on to make crucial, split second decisions to preserve the health of the patient. If that doctor lacks the proper credentials, serious injury may result and the doctor's actions may be considered negligent. When a plastic surgeon or supporting staff member breaches the standard of care, we expect them to be held liable. Injuries most commonly associated with negligent plastic surgery include nerve damage, asymmetry, leaking implants, chronic pain, disfigurement, and more. Errors in plastic surgery can also lead to psychological issues accompanying physical pain. Our lawyers will closely examine the surrounding circumstances of your case to determine if there has been a breach in the standard of care. If so, we will hold those parties responsible for extra medical bills, pain and suffering, lost wages, and more. Talk to one of our experienced Boston medical malpractice attorneys today at 617-225-2100 to help you understand your options.